Be normal, invisible. Don’t get close to anyone. Kids with psychic abilities tend to mysteriously disappear when they get noticed. Joss has spent years trying to hide. Now she has an unasked-for best friend, who is the victim of an extortion plot by the school bully, who used to like Joss, who is best friends with her long-time crush, who is actually talking to her. Life just got more complicated. Read an excerpt on this site. 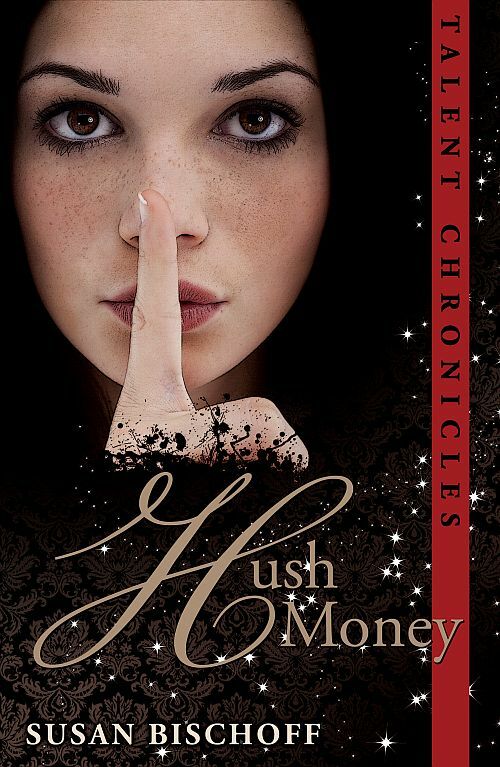 The Hush Money page at Goodreads, where you can see ratings and reviews, as well as who’s read it, who’s reading it, and who’s thinking about it. If you enjoyed the book, please consider talking about it in appropriate groups/discussions on Goodreads. Susan Bischoff is a participant in the Amazon Services LLC Associates Program, an affiliate advertising program designed to provide a means for sites to earn advertising fees by advertising and linking to Amazon.com.